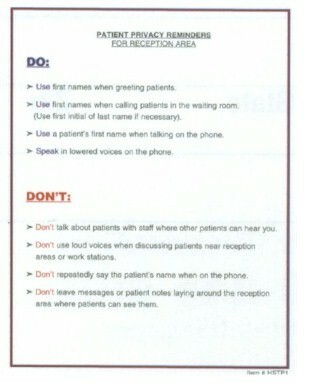 Small HIPAA Staff Training Poster reminds staff of the do's and don'ts of patient privacy according to HIPAA. One side for posting in reception area, the other for medical records area. 8.5" x 11", buff colored, laminated.